For many families, pets are an important and lovable member of the household. Jill MacKenzie, program director for PetCure Oncology at Arizona Veterinary Oncology, knows this to be true when speaking about her Goldendoodle, Bella. 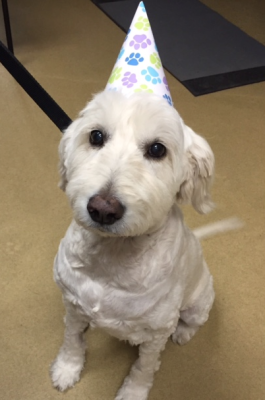 That is why when Bella was diagnosed with soft tissue sarcoma (STS) in August, MacKenzie and her Gilbert family took every precaution necessary to ensure that Bella was back to full health. You can read Jill and Bella’s story on the Ahwatukee Foothills News, article by Daniel Ochoa.